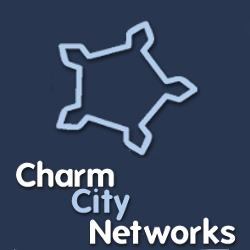 Charm City Networks Co-Owner Chris Whong spoke during the Baltimore Neighborhood Indicators Alliance‘s Data Day last Friday, presenting a few examples of what is possible when combining civic data with 3D GIS extrusion tools, such as ESRI’s ArcGlobe and ArcScene. The Prezi presentation is embedded below, for those who wish to view it. Contact us for more information about GIS and Spatial Data Services.